Jacuzzi Hot Tubs and spas JLX in Spokane and Coeur d'Alene area. 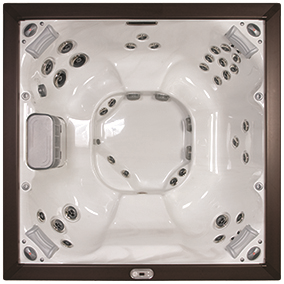 84'' x 84" x 36"
including top-of-the-line jets and versatile massage options. comfortable seating, and tough, weather-resistant materials. sound on the J-LX Collection spas.